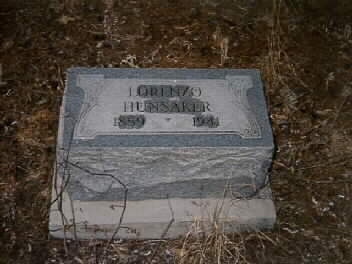 Lorenzo Hunsaker was a Mormon, born in Brigham City, Utah, in 1859, from a very large polygamous family. He came to Globe in 1901 and became a prominent citizen of the town. I have included a picture of his grave on this site because I feel that he is a good example of the type of people who built a solid "home" here in a most unforgiving territory. He served as a Mormon Bishop in Globe for 21 years (1907-1928), always caring for the people of his "flock," and always faithful to his church. He died in 1941, and I personally know many people whose families were greatly blessed by this kind, generous man. I thought I should not leave him out as a true "pioneer" in this area.